Our house has always been somewhat of a challenge to keep clean. With long hard floor hallways and bedrooms, vacuuming the entire house is a struggle. Add in 3 kids and keeping the floors clean becomes a near impossible task. But we have finally found a solution. Since purchasing a robot vacuum cleaner, we no longer need to think about vacuuming the floors daily – we take for granted they will be clean. We purchased the best robot vacuum cleaner that could be scheduled to start each day and for us, it works great. It even finds its way back to the charging station meaning we hardly even touch it – except when we need it to do a spot clean after dinner! We still do a big clean with our everyday vacuum, but it’s meant that this is only necessary once or twice a month, at most. If you’re on the lookout for a robot vacuum, we want to help. We had to cover a lot of robot vacuum cleaner reviews and finally have a grasp on what makes the top robot vacuums just so great. Click here to see the top robot vacuum now. 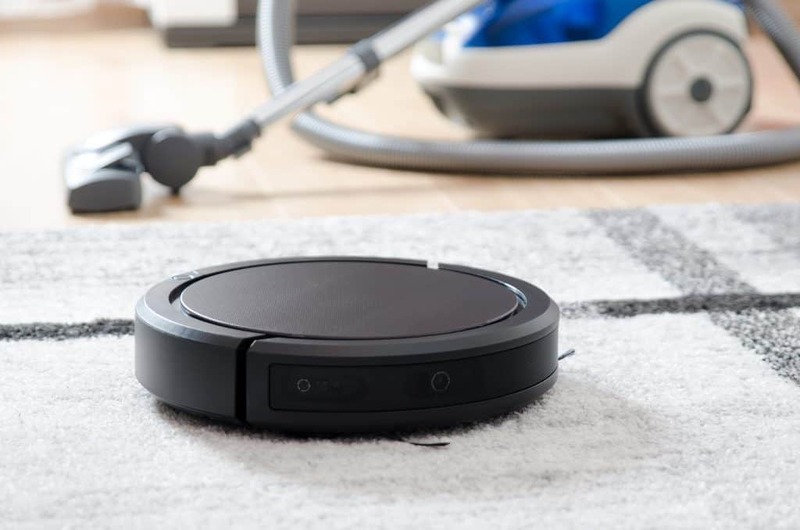 Below, you’ll find our robot vacuum reviews 2019 edition and a guide to what to look for when assessing and buying the best robot vacuum 2019 offers for your home. 3 Do You Need A Robot Vacuum? Handy reference list – see all robot vacuum cleaner reviews below! Do You Need A Robot Vacuum? For us, a robot vacuum has made life so much simpler. It keeps our home cleaner than we ever could have. But do you need one? To decide, the first question to ask yourself is what type of flooring you have. Robot vacuums work best on hard floors like tiles, floorboards or laminate flooring. Unfortunately, although they can work decently on low pile carpets, they’re simply not a suitable option for high pile carpets. It’s also important to remember that robot vacuums aren’t without their cons. For us, having a home with kids means toys and clothes are often unintended obstacles for the robot vacuum to avoid. It isn’t a huge problem for us to keep clean, but others may find it so. Another question to ask yourself is how many levels your home has. Robot vacuums are most suitable for single level homes as they can’t navigate stairs. Some even lack sensors to detect stairs and will fall without the use of a lighthouse. It’s up to you to decide whether the pros of robot vacuums outweigh the cons for your home. However, as robot vacuums (sometimes known as robotic vacuums) improve that balance might shift. There is no standard best cleaning robot – each type operates differently and has its own unique features. So what are some of the best features to look out for? These are listed below. Robot vacuums are low profile and therefore have the ability to get underneath hard to reach places. They can also clean corners better than an average vacuum cleaner. With an edge brush, corners can be cleaned more closely and thoroughly. All robot vacuums use sensors to map their path and track their progress while cleaning the home, but how advanced the sensors are depend on the particular robot vacuum. Some have the ability to avoid obstacles such as stairs while others will fall straight down. Another reason why robot vacuums are so great on hard floors is that many of them can mop as they go! The best automatic vacuum can even include a water tank. You then simply place a cloth attachment on the base of the robot vacuum and have your floors mopped as well as vacuumed. These days, the best of the best robot vacuums include WiFi connectivity. This allows you to control the vacuum from anywhere, at any time, via an app on your smartphone. It also means the vacuum can relay real-time messages about its position and other information. You might not care about any of that stuff now, but in the next point, I’ll talk about why this is important. So much so that “the best robot vacuum cleaner 2018” version had only a few choices with WiFi but as 2019 goes on, the choices for the “best robot vacuum 2019” in Australia may not have anything that doesn’t. This isn’t something I’ll cover much in the reviews but it is becoming a “thing” and something to keep in mind. The best robot vacuum cleaner 2019 (and beyond) and any other on the cutting edge will start to offer increasing levels of integration with home assistants like Amazon’s Alexa or Google Home. Indeed, the iRobot Roomba 980 and Eufy BoostIQ RoboVac 30C is already certified to work with Alexa so you can issue it commands by voice. How far this is going to go is unknown yet but it’s easy to see the possibilities (that I expect to be realised soon). With Alexa integration, you can command your robot vacuum by voice, which is cool. It’s not far from that to being able to schedule the vacuum the same way. Or order it back to fix up the bad job it did in the bedroom! With Google Home it might be possible to use your phone (especially Android) to send instructions or set a schedule. Even from far away. You might even get some reporting so your robot vacuum can let you know its vacuumed everything twice since you last checked while you’ve been in Bali, but it’s full now so can’t do much. You won’t need any special app, just your voice and either a phone or a home assistant. Obviously this sort of integration requires the robot vacuums to have WiFi capabilities. So even if your preferred model doesn’t have the ability to be controlled from 1000km away yet but you like the idea of being able to do so, make sure your vacuum can connect to WiFi. For some vacuums lacking those abilities, a software update will be all that will be needed. So if you buy a Eufy Robovac 11 Australia model today and it can’t do all of that yet it might pick up the ability one day soon (the Eufy Robovac 11+ doesn’t have Wifi, so it won’t but you get the idea). So what is the best robot vacuum? Below are our top 5 robot vacuum cleaner reviews. From the automatic vacuum cleaner reviews, you should find one that fits your budget and needs. Starting with the best cheap robot vacuum cleaner, the Kogan Ultimate Robot Vacuum is a budget option with some great features. As it is, the robot vacuum is attractive with solid build quality and a smart touch display. There are 5 different cleaning modes in total and the vacuum can be scheduled to operate at a designated time of your choosing. While in operation, the noise level is minimal. The bumper is sensitive enough to avoid knocking things over, and it’s smart enough to know when it’s spent enough time cleaning a certain area. The robot vacuum is relatively good at picking up dust and animal hair, and it’s also helped by a UV sensor that disinfects as it goes. It does take a while to clean a larger area, and also tends to get stuck on corners or the edge of rugs. It can also go around in circles and seems to operate almost randomly. A charge lasts about an hour and the charger can be plugged into the side manually. Alternatively, this cheap robot vacuum cleaner also automatically return to the charging station once battery level gets too low. While it lacks in some areas, it’s important to remember that this is the cheaper option and many are over 5 times the price, making it a fantastic budget robot vacuum. Please note: the Eufy RoboVac 11+ has been updated with the Eufy BoostIQRoboVac 30C (which is also covered, below) but is still available and a good choice. The Eufy RoboVac 11+ offers great technology and features in a middle of the range price point. 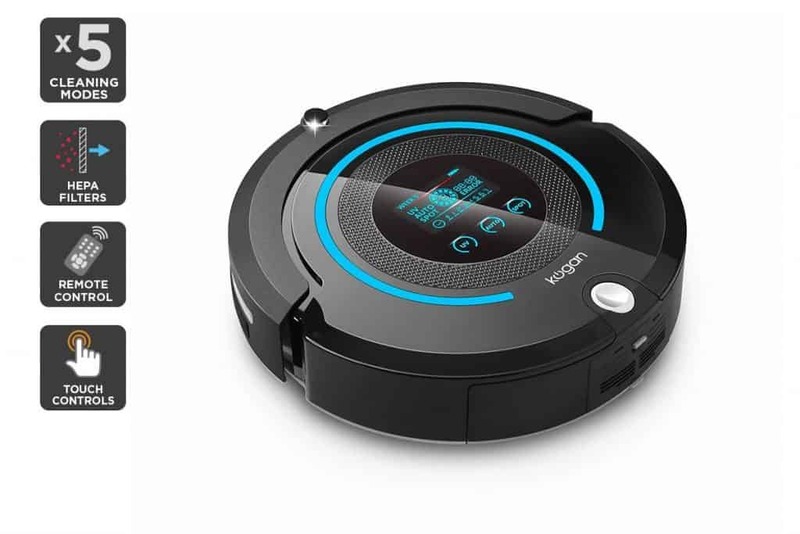 It’s a low profile robot vacuum with a three-stage cleaning system, great for navigating the home. Straight out of the box, one thing is obvious – the aesthetics are great. This is a very attractive robot vacuum. In use, it’s even better. At under 70 dB, this one of the quietest robot vacuums available on the market. The vacuum operates more or less as you would expect. The infrared sensors do a great job of avoiding obstacles and detecting edges of platforms. It’s designed only for flat floors and low pile carpets, although it can be used on higher pile carpets at a lesser efficiency – while it will not just sit there, the 100-minute battery life may be reduced. There are 5 cleaning modes in total. The powerful suction does well to pick up dirt and the option to increase power is also welcome. A remote control is also included and can be used to return the vacuum to its docking station. There is also a good amount of add-ons such as an extra cleaning tool and extra side set of brushes. While most are positive, some reviews have found that the vacuum does struggle a bit near the docking station and this could be a problem if you use it in smaller obstructed areas. All in all, with a 12-month warranty, the Eufy RoboVac 11+ is the best budget robot vacuum if you’re on the lookout for a good quality, middle of the range robot vacuum cleaner. The Eufy BoostIQ is an evolution from the popular RoboVac 11+ and aims to improve on what were already key strengths of its predecessor. The first is the BoostIQ is thinner and comes in at roughly 75% of the Eufy RoboVac 11+. This makes the profile of Eufy BoostIQ really low compared to most other options on the market. Secondly, the Eufy BoostIQ has added more powerful suction – now up to 1500 Pascals (which gets it close to non-robotic vacuums). This gives it much better performance on carpets, especially with medium pile carpets. Thirdly, an improved motor aims to make the vacuum quieter. How quiet it is depends on the type of surface. Thicker/longer pile carpets – where you need more suction – tend to result in more noise but otherwise reviews have noted the reduction in volume even compared to the Eufy RoboVac 11+ which was one of the quietest options already. More revolutionary is the addition of WiFi connectivity and ability to hook up with Amazon Alexa and Google Home Assistant (its one of the few to connect to both). There’s still an app you can use and a remote control but, in theory, you’ll need these less. Otherwise the Eufy BoostIQ still maintains all the capabilities of the RoboVac 11+ with support for 5 different cleaning modes, great edge detection and great aesthetics. On the downside, the extra suction and WiFi connectivity mean that the Eufy BoostIQ struggles with battery life. Eufy claim it can get “up to” 100 minutes but that’s a best case figure, more typically it lasts around an hour (or less if it’s really working hard). 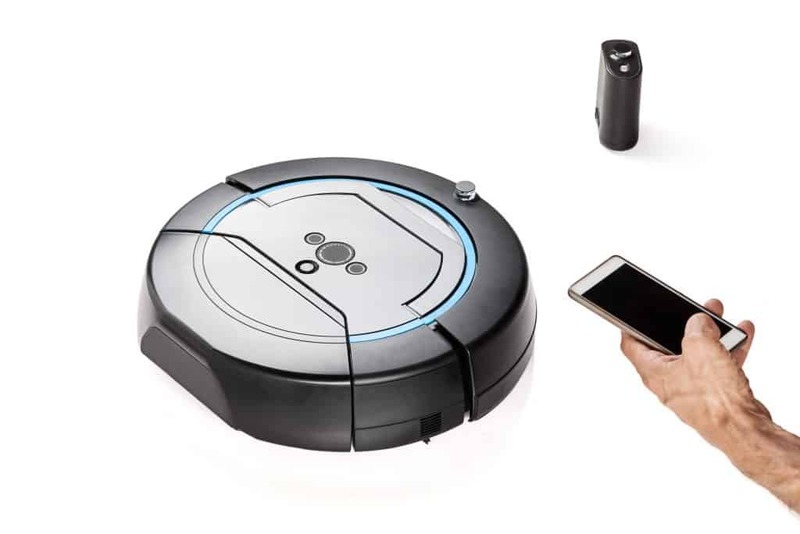 Battery aside the Eufy BoostIQ is shaping up as the Best robot vacuum cleaner 2019 Australia has available. If you’re looking at top rated vacuum cleaners one of the names you’ll constantly come across is iRobot review – specifically, the Roomba. Roomba reviews can be overwhelmingly positive, but why? This robot vacuum has become somewhat synonymous with robot vacuums as it is one of the original ones. In many ways it is a pioneer and helped create the market for robot vacuums. The brand has passed the test of time. In the 2018 version of this guide, I was a big fan of the R860. In 2019, this has been superseded by the R890. Something you can expect from the iRobot is great build quality. The vacuum uses AeroForce technology which picks up significantly more dirt and dust from the carpet and floor, offering one of the most thorough cleans you can get of any robot vacuums, with the rubber base complementing its cleaning power. Consequently, this makes it both the best robot vacuum for dog hair and the best robot vacuum for carpet. There’s plenty of functionality to set the robot to clean at certain times, allowing you to set and forget. The sensors help it navigate and map the floor, while avoiding falling down stairs, making it great for multi-level homes, negating the need for a lighthouse. As part of a comprehensive upgrade the R890 has improved suction and navigation as well as being easier to use all round. The big change is the addition of WiFi and Alexa integration making it easy to connect to and command. There’s a phone app if you don’t have Alexa. However, this robot is not without its faults. It has a tendency to get stuck on high pile carpets and rugs. There is also no additional accessories besides for the home base. However, it does offer one of the most thorough cleans of any robot vacuums, with enough power to replace your everyday vacuum cleaner. The best Roomba in our opinion! The final robot vacuum on our list is the best automatic vacuum cleaner offered by Samsung – the POWERbot. This is the robot vacuum claimed to be the best of the best – some have even gone as far to say as it’s the best one they’ve ever used. This is not just due to the great cleaning ability but the fact that it can be used controlled anytime, from anywhere. It’s very easy to use – easy to remove the dustbin and clean it. Cyclonic suction which leads to it picking up a lot of debris. There are 3 suctions options – low to high. The highest produces quite a bit of noise but it does a fantastic job. The sensor is one of the best on top robot vacuums which allows great maneuverability and the wide brush also helps with walls. This particular vacuum first maps the environment and then vacuums. Despite this technology, it can still have some difficulty navigating darker areas of the home – it may bump into stuff but it does well to correct itself. It also cleans corners very well. One of the best parts of this robot vacuum is the app that can be used to control the device and see the full range of options available. It does this by connecting to wifi. There are also controls on the top of the vacuum. It also allows you to control it from a distance and sends real-time messages stating the current position of the vacuum and warn it of obstacles. The battery life is a huge and – as usual – the vacuum returns to the dock by itself. It will continue vacuuming once sufficiently charged. It may not be cheap but has a full range of options and a great range of functionality and control, as well as being the best robot vacuum for pet hair you will find. Need help finding a vacuum cleaner to compliment your robot vacuum? Click here to read about the best vacuum cleaners and read other buying guides here.